The researchers analysed data from two cohorts of millennials born a decade apart. The younger group was made up of more than 11,000 14-year-olds born across the UK in 2000-01, who are being followed by the Millennium Cohort Study. The older group consisted of just over 5,600 14-year-olds who were born in the Bristol area in 1991-92 and are being followed by Bristol's Children of the 90s study. The researchers statistically adjusted the data to make the millennium group comparable to the Bristol-born teenagers. They then looked at the prevalence in each group of mental ill-health, substance use, antisocial behaviour, poor sleep patterns and weight problems. Levels of depression had increased from nine per cent for young people born in the early 1990s to almost 15 per cent for those born at the turn of the millennium. Rates of self-harm had also risen from 12 per cent to 14 per cent over a decade. While girls from both groups were more likely than boys to be depressed and to self-harm, the rate at which these problems were rising was the same for both genders. 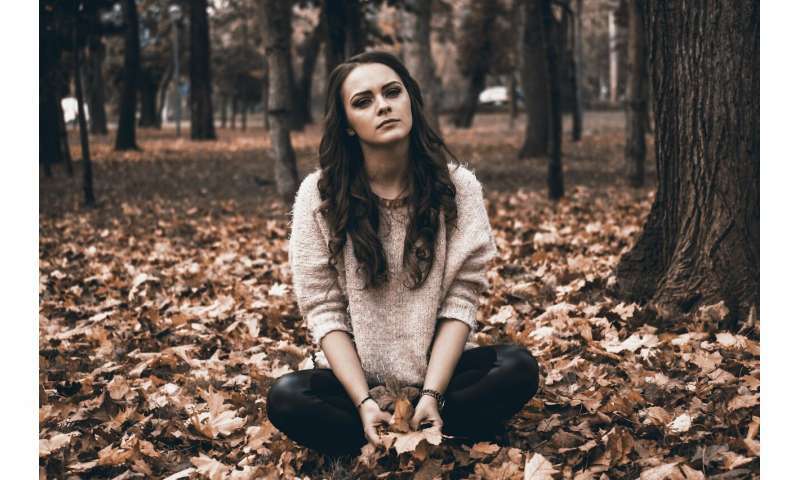 Conversely, the researchers found that antisocial behaviour and substance use, which have been recognised as predicting poor adolescent mental health in previous studies, had decreased over 10 years. Rates of 14-year-olds punching or kicking someone on purpose had dropped from 40 per cent to 28 per cent, and teenagers committing acts of vandalism had decreased from 6 per cent to 2 per cent over a decade. More than 52 per cent of the those born in the early 1990s had tried alcohol by age 14, compared to less than 44 per cent of those born a decade later. Seven per cent of the 1990s children had smoked cigarettes occasionally in adolescence, compared to just 1 per cent of the millennium group. The children of the new century tended to sleep fewer hours on week nights, were more likely to be obese and had poorer body image, compared to the children of the 1990s. They were, on average, going to sleep later and waking up earlier. Almost 12 per cent of those born at the turn of the millennium were sleeping less than the recommended eight hours a night, compared to 6 per cent of those born 10 years earlier. Rates of obesity among young people had almost doubled over a decade from less than 4 per cent to more than 7 per cent. Twenty-nine per cent of the group born at the turn of the century perceived themselves as overweight compared to 23 per cent of those born in the early 1990s. This is thought to be one of the first UK studies to compare data from two different groups of millennials to investigate the changing trends in a range of adolescent mental health and health-related behaviours. The researchers took into account the young people's personal characteristics and circumstances, including gender, ethnicity and social background, to distinguish actual changes in trends among millennials from differences in the make-up of the two cohorts. Dr. Suzanne Gage, co-author, University of Liverpool, said: "It has seemed for a while that mental health difficulties in young people are on the rise, but this study really highlights the scale at which this increase might be occurring. It's not just that we're getting better at measuring depressive symptoms, as identical questions about depressive symptoms were asked in both cohorts. The next step is to understand why these increases are occurring, so young people can be supported better." Dr. Praveetha Patalay, co-author of the study, University College London, said: "The increasing trends of poor sleep, obesity and negative body image might help explain rising mental health difficulties experienced by young people. Where the trends are moving in opposite directions – decreasing substance use and antisocial behaviour – the interpretation becomes more complicated. Understanding the nature of these associations and their dynamic nature over time could be valuable in identifying what the risk factors are for mental health problems, and might help us find potential targets for interventions. "Striking increases in mental health difficulties, BMI and poor sleep related behaviours highlight an increasing public health challenge. Identifying explanations for these high prevalences and changing trends are key for preventing further poor physical and mental health for future generations of young people." The full study is titled "Changes in millennial adolescent mental health and health related behaviours over ten years: a population cohort comparison study."